I spend too much time on YouTube. The first video I remember watching on YouTube was How to be Nerd by Ryan Higa (aka nigahiga). I can’t remember how I discovered it, but that doesn’t matter because from that first video, I was hooked. Not just to Ryan and his super punny puns, but to the entire YouTube world. At that time, YouTube was fairly new. The only other channels I remember watching were Smosh and KevJumba. As time passed, I discovered that there were so many other channels out there and my subscription list grew. I’m subscribed to a wide range of YouTubers now. From beauty/fashion gurus to daily vloggers, from pranksters to sketches. You name it, I’m subscribed. A few months ago, I discovered the Shaytards and CTFxC. The Shaytards are a “YouTube family” made up of Shay Butler, his wife Colette and their five kids. Yes, FIVE CHILDREN. Oh, and let’s not forget their dog, Zeke. CTFxC comprises of Charles Trippy (bassist of We The Kings, what whaaaat), his wife Alli and their two dogs, Zoe and Marley. Both these channels do daily vlogs. Charles and Alli currently hold the Guinness World Record for the most consecutive vlogs uploaded to YouTube. Anyway, I never thought I’d be the type of person who would spend hours of my day watching some other people live their lives. But guess what? Turns out I am. I couldn’t pinpoint what it was that kept me glued to YouTube. I couldn’t figure out why I was so interested in other people’s lives. Seriously, in some of the vlogs, all they did was go to the supermarket but I’d still find that super interesting. And then I realised. YouTube was my escape. Some people turn to books. Others turn to movies or video games. When the going gets tough, I turn to YouTube. There’s something about watching someone else live their life that is almost…therapeutic. It makes me feel less alone in this world knowing that some random family of seven in L.A. is going through something similar to my family. Is it weird that I consider them my friends? Sure. I can’t tell you how many times people have given me odd looks when I start talking about YouTubers as if I’d known them my whole life. But that’s what it feels like! Especially with the daily vloggers. I mean, Charles vlogged his brain surgery. Yes, he vlogged during brain surgery. It’s incredible. People who don’t know YouTube might think it’s a complete waste of time. To me, it isn’t. 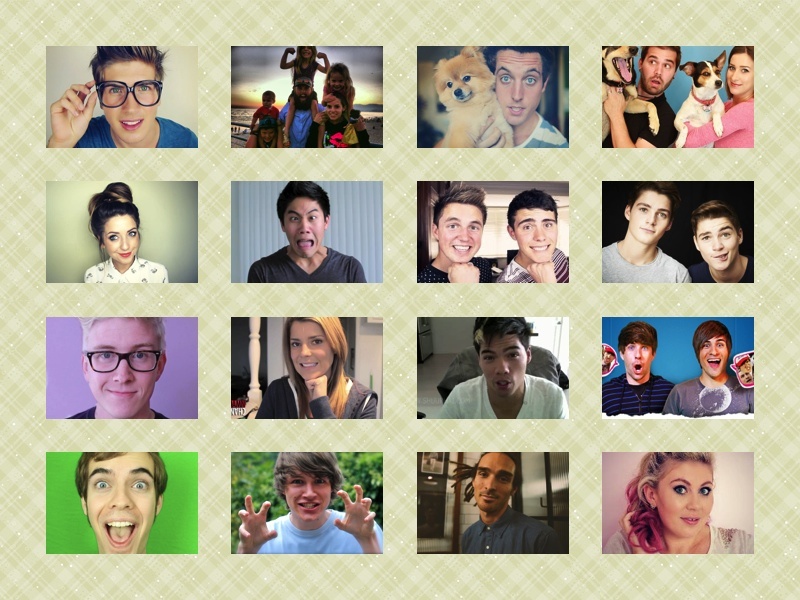 I know that for these YouTubers, making videos is their passion and they put time and effort into it. Many of them also team up with charities and use their influence to raise funds and awareness. YouTube isn’t just a video-sharing website, it’s a community. The point of this post was to say I LOVE YOUTUBE. I love that it’s bringing the world closer together. I love that it’s changing the entertainment industry. I love that it’s become an outlet for anyone and everyone. I love the fact that I can sit down and watch a whole variety of videos. I don’t even watch TV any more. YouTube is my TV. This entry was posted in Thoughts and ramblings. and tagged vloggers, vlogging, youtube, youtubers. Bookmark the permalink.